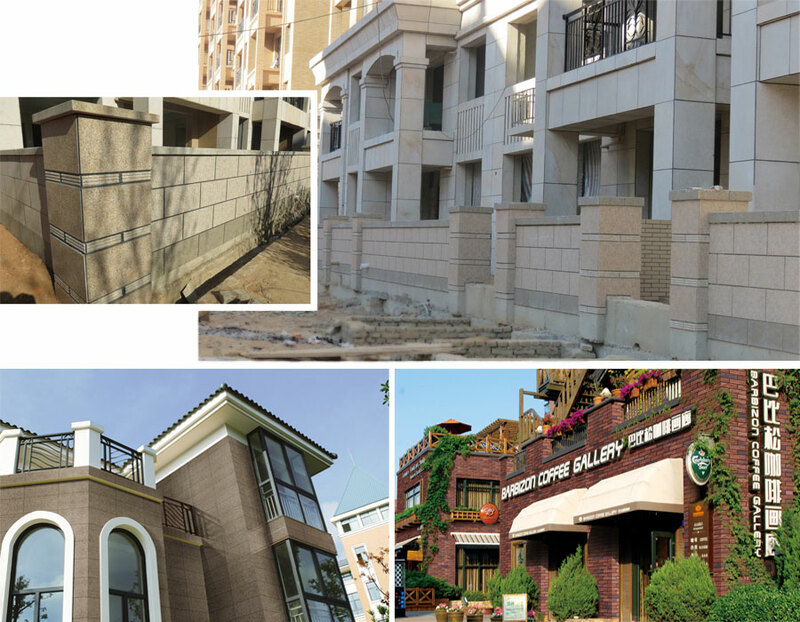 Product categories of External Wall Tile, we are specialized manufacturers from China, Outer Wall Tiles, Outside Wall Tile suppliers/factory, wholesale high-quality products of External Wall Panel R & D and manufacturing, we have the perfect after-sales service and technical support. Look forward to your cooperation! There are many types of outer wall tiles, including faux granite tiles, faux marble tiles, mosaic tiles, etc. suitable for different places. 1. The surface of the external wall tile has a luster, flat or rough surface, and can present a variety of textures. The design is rich and varied, and has a strong decorative effect. 2, The outside wall tile has superior physical properties, sturdy and durable, good weather resistance, scrub resistance, etc., and has a long service life. 3, Easy to clean, fire, water, wear, corrosion and low maintenance costs. 4. Thin porcelain tiles on the outer wall, [light, large and thin", which greatly reduced the building load. 1. When the structure is constructed, the verticality and flatness of the outer wall should meet the standard requirements. The dust, dirt and grease on the surface of the base are removed. 2. On the base plastering surface, first hang the vertical and horizontal control lines, and then hang out the tile control line according to the size and arrangement of the tiles. 3. When the tile is pasted, the mortar should be full. It is not advisable to knock and move more. Especially after the mortar is collected, it cannot be corrected. 4. After the caulking is completed according to the design requirements, clean the surface with a clean cloth. 5. About 30 hours after the completion of the caulking (depending on the weather at the time), and after the brick joint has solidified to a certain strength, rinse the brick surface thoroughly from top to bottom with clean water.